Without the money injected into the radio industry but commercial sponsorship, there is a good chance that the radio drama that is so beloved by OTR fans may never have been created. Sponsorship dollars paid for the writers who created the stories, the technicians and studio staff who actually got the content on the air, and the talent, the actors who actually performed the dramas. However, it is important to keep in mind that while the intention of commercial radio was to entertain its listeners, its purpose was to help the sponsor to sell his product. This is what makes Network Sustained Programs important. When a program did not have a sponsor but was still broadcast, it was said to be sustained, or paid for, by the network. The network could have any number of reasons for sustaining a program. In many instances, there may have been a time slot which no sponsor was willing to buy, so a sustained program would be used rather than allowing dead air. Some sustained programs were high-quality broadcasting which no sponsor had picked up, but could be sold after gauging audience reaction while it was broadcast without making a profit. Many sustained programs were far from the "second string" status of shows looking for a sponsor. CBS and NBC both created and sustained a number of programs which they had no intention of selling, but which were broadcast as a public service, sometimes simply for their artistic merit. Classic examples include NBC's University of the Air series which presented works of classic drama and literature, sometimes in conjunction with institutions of higher education which allowed students to gain college credit for listening to the programs (although they could be enjoyed by anyone). The Columbia Workshop brought together cutting edge writers and producers with a generous budget in an effort to simply create programming with incredibly high artistic integrity. One of the earliest examples of sustained programming as public art is NBC's Radio Guild which began broadcast in 1929. Like the later University of the Air, Radio Guild turned to literature and the legitimate stage for source material. The creators of Radio Guild built on the success of the network's Music Appreciation Hour, which had won the endorsement of National Advisory Council on Radio in Education (NACRE). Working with the council, the producers of the Music Appreciation Hour developed an instructor's manual as a companion to the series, and the show was broadcast at 11:00 am Eastern time and 8:00 am Pacific on Fridays so that it could be heard in classrooms. More than 65,000 of the manuals were requested, and NBC figured that for every manual there were approximately 100 students listening to the course. Expanding into literature was a "no-brainer". 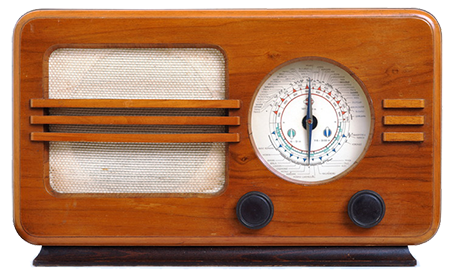 Radio Guild remained on the air from 1929 until 1940. Be the first to comment on "Radio Guild"